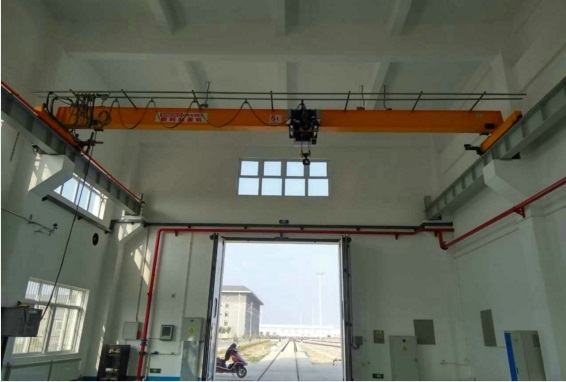 Remote Control Electrical Overhead Travelling Crane is the ideal lifting equipment in factories, mines, agriculture, electric power, construction building site, dock and warehouse for installation of the machines, lifting the cargos, loading and unloading the trucks. 1. 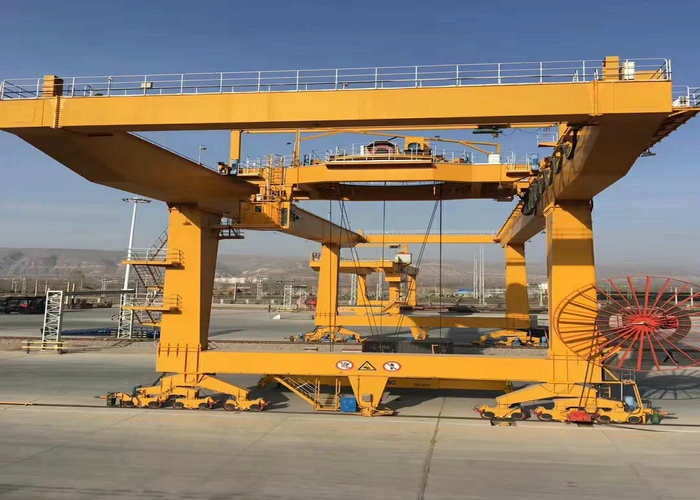 Hoist - The hoist mechanism is a unit consisting of a motor drive, coupling, brakes, gearing, drum, ropes, and load block designed to raise, hold and lower the maximum rated load. 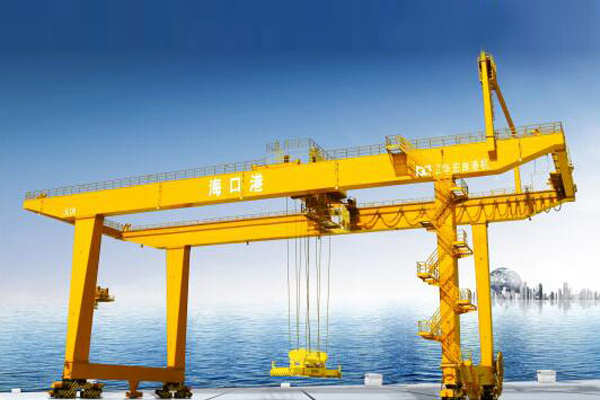 Hoist mechanism is mounted to the trolley. 2. 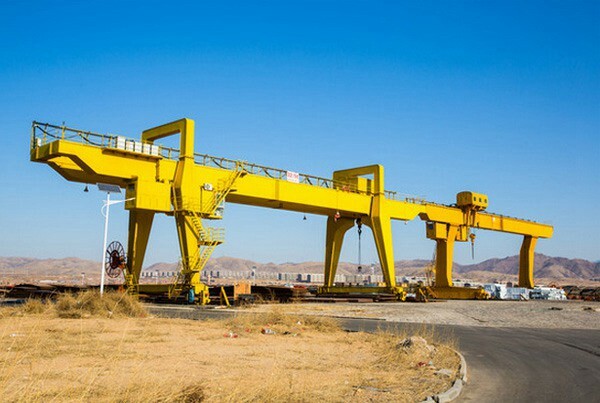 Trolley - The unit carrying the hoisting mechanism which travels on the bridge rails in a direction at right angles to the crane runway. 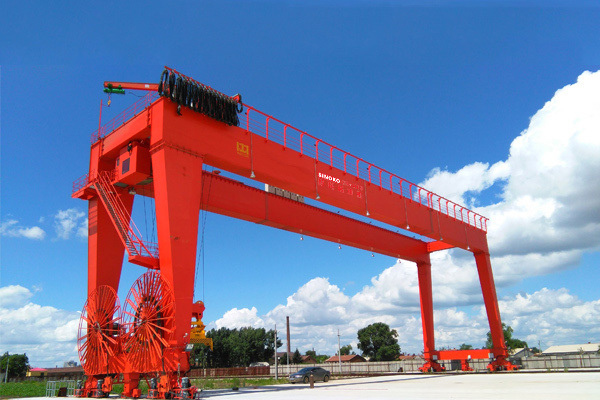 Trolley frame is the basic structure of the trolley on which are mounted the hoisting and traversing mechanisms. 3. 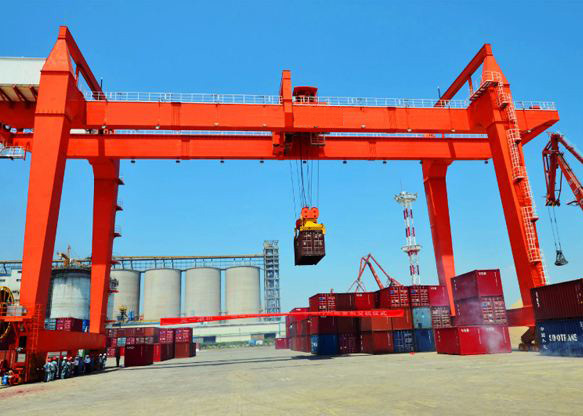 Bumper (Buffer) - An energy absorbing device for reducing impact when a moving crane or trolley reaches the end of its permitted travel, or when two moving cranes or trolleys come into contact. This device may be attached to the bridge, trolley or runway stop. 4. 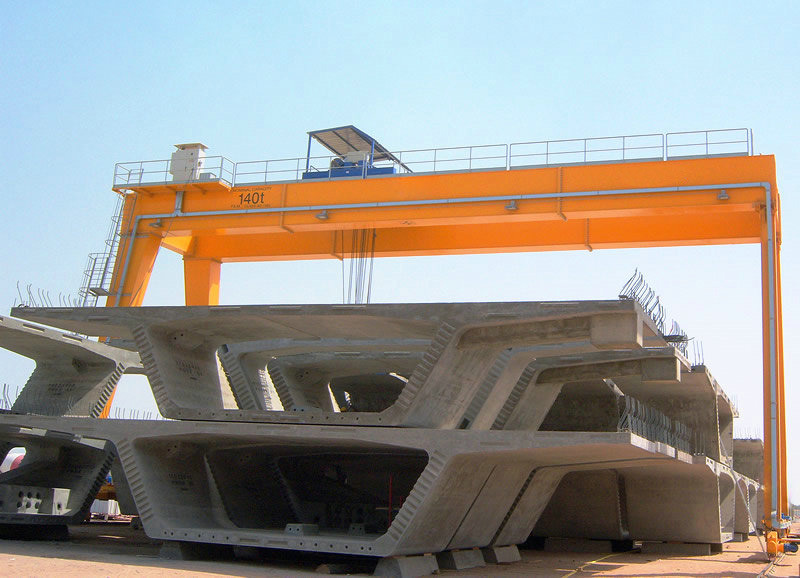 Runway Rail - The rail supported by the runway beams on which the crane travels. 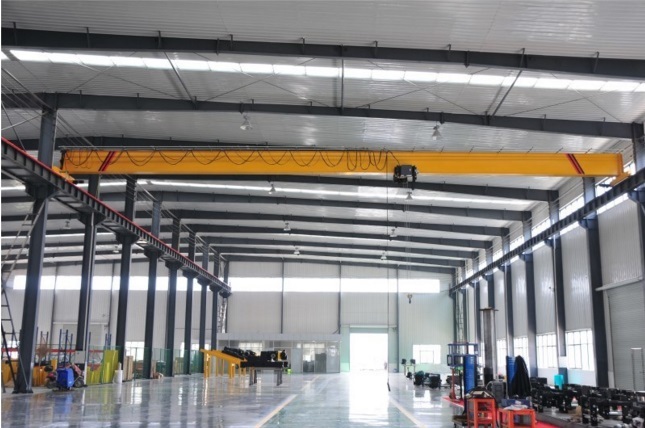 Remote Control Electrical Overhead Travelling Crane is more compact and lighter than a double-girder crane, which makes it a preferred choice for facilities where headroom and floor space is limited. 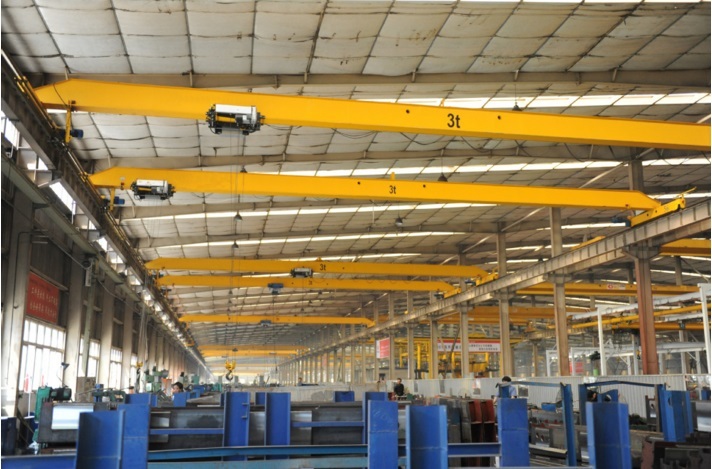 Even in situations where items have to be lifted and moved close to the building walls, a single-girder crane can have a better end approach to the building, allowing the hook to move closer to the wall. 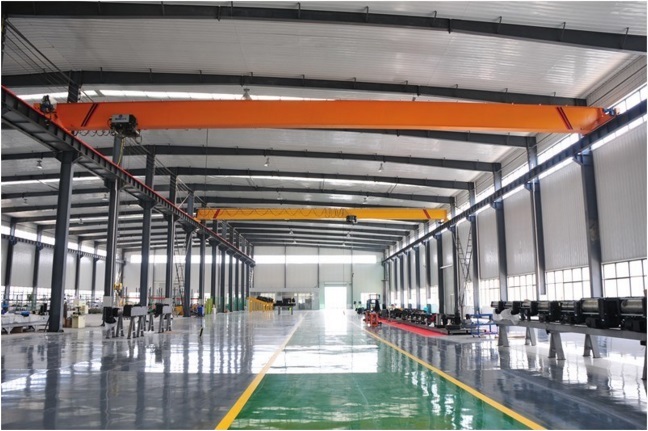 With only one girder, minimum deadweight is applied to the building foundations, allowing for more cost-effective building designs and runway constructions. 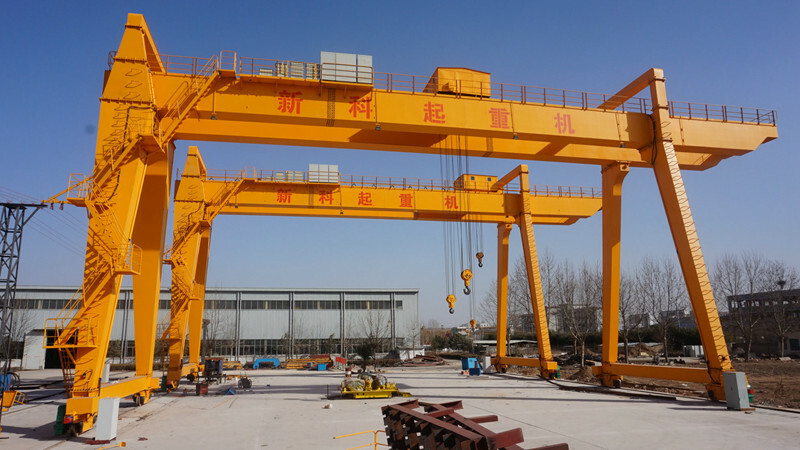 On top of that, less steel is required to manufacture the girder, making it an inexpensive lifting solution for various applications and industries.